Aquatic series softeners are attractive compact, easy to operate and maintain. The pressure vessel is made of FRP. Pipes are of PVC & CPVC. The softener is handled by single multiport valve lever. Water softener prevents scale deposits and corrosion due to hardness (Ca & mg). Soft water maintains and increases life of fabrics. Soft Water is gentle to skin and hair. Reduces cooking time and consumption of gas, thus reduces fuel cost. 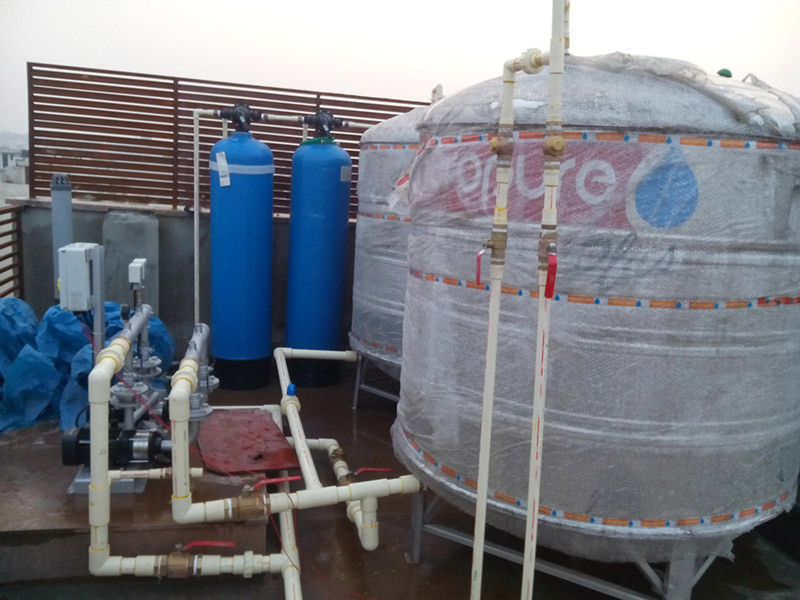 Water treatment for feed and cooling towers. Specially graded sand and granular activated carbon are used as media in san d filter and activated carbon filter. Media filter is used to remove suspended impurities like sand, mica, silica, dissolved earth etc. As pre-treatment for drinking water in hotels, banglow, farm houses, shopping malls etc. For pre-treatment of R.O. System. Activated carbon removes chlorine & organic matter from drinking water.